is presented in collaboration with NGTS Training Centre and the qualification is assessed against National Unit Standards, listed under the auspices of MERSETA, with QCTO. 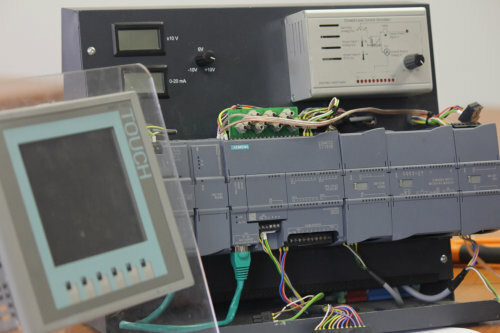 covers the field of Human Machine Interfacing (HMI), communicating with Programmable Logic Controllers (PLC). expands the concepts learned in the Programmable Logic Controllers (PLC’s) – Intermediate course. It expands on the concepts studied before and deals with advanced features such as described below. 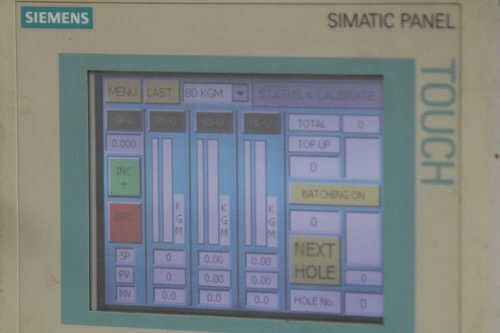 has a theoretical and practical component (Siemens HMI Panels communicating with S7-300 and S7-1200 TIA Portal CPU). This means that the learner will receive a lecture conducted by an expert facilitator after which the learning experience is enhanced by a practical session where the learner has the opportunity to practice installing, wiring and programming the advanced features of the Siemens HMI Panels communicating with S7-300 and S7-1200 TIA Portal CPU that was covered during the theoretical lecture. A facilitator is always at hand to continuously address any questions and to assist the learner where necessary. Hardware Configuration is important before any programming takes place. Tags programming (Plant stop and starts, analogs-Set points(SP) Process Variables(PV) Output Variables(MV). Level, Pressure and Temperature Transmitter’s Values displaying. A well designed learner guide. Equipment and material, at our training centre, required to perform all the tasks during the course (Panels and Programming devices such as Laptops and Desk tops). Assessments will be performed throughout the course. After completion of the course the learner will receive a certificate of competency. There are two options available to the learner. The course can either be done as a full-time course or a part-time course. The times below are applicable. Excellent track record in terms of training and success rate of learners when writing exams. Personal attention to individuals needs during courses due to limited numbers. Qualified and registered facilitators and assessors. Value for money in terms of course fees and training hours. Courses available after hours and fulltime. Ideally situated close to public transport and Indlela. Free revision time prior to examination.